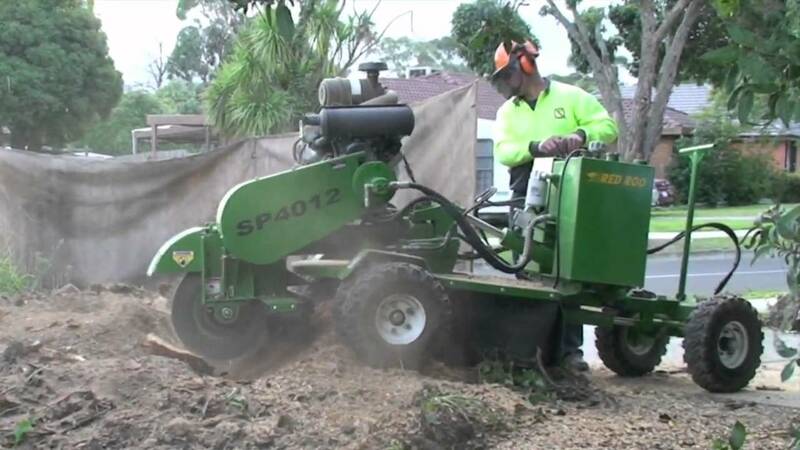 Stump grinding is the most efficient method used to remove stumps- stumps generally require removal as there is little point in keeping them in place-apart from occupying valuable space they can attract pests, disease and fungus etc. 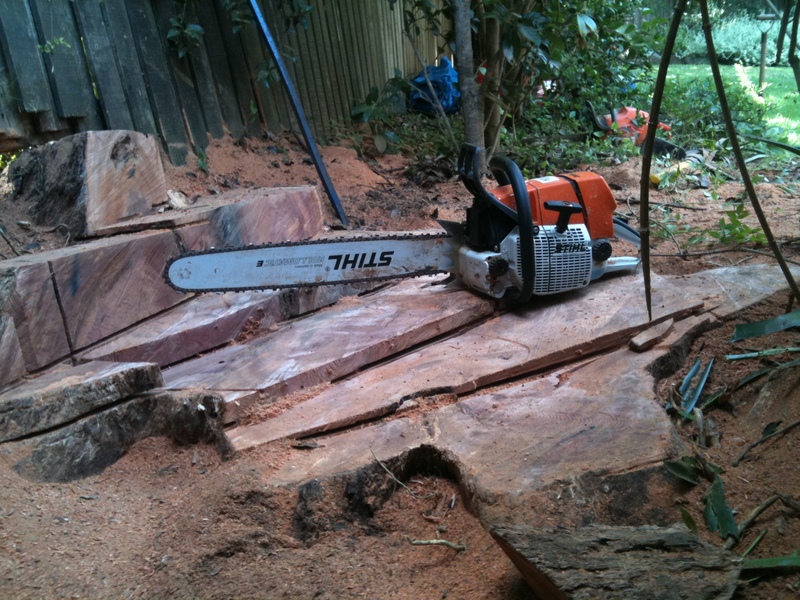 Stump grinding or stump removal is usually the follow up service to our Sydney tree removal service, stump grinding removes the remnants of the tree stump and surface roots to a specified depth. 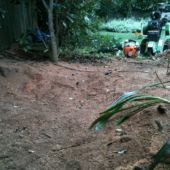 The depth required will be determined by the future use of the space- returfing requires a shallow grind of approximately 200mm in depth or replanting /new landscape construction may require a deeper grind of approximately 400mm in depth. 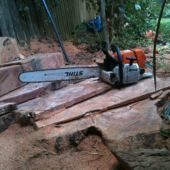 When required we can grind large stumps to a maximum depth of 600mm below ground level. We will discuss with prospective clients what depth is required and price accordingly. 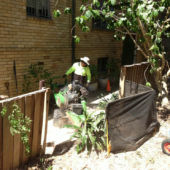 The work is performed by either a petrol or diesel powered stump grinding machine, we will always match the most efficient machine to the job possible-access to the site will determine which machine can be used. 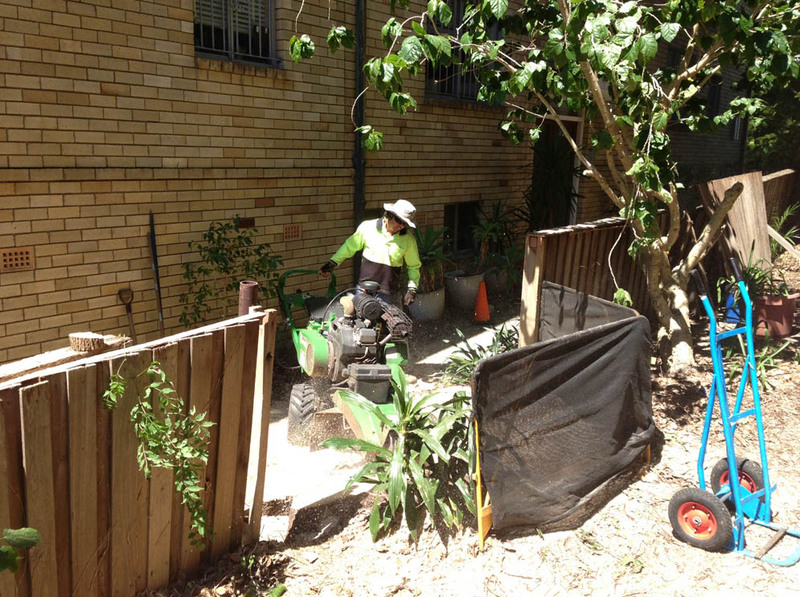 We have four different machines available to provide stump grinding in Sydney, ranging from 10hp (40kg) for elevated garden beds and very tight access through to 90hp (1600kg) to make light work of very large stumps where access is good. 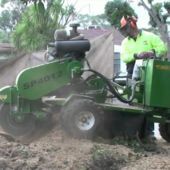 We also advise all our clients of the risks to underground services associated with stump grinding- we will recommend independent, accurate service location if we feel that the risk is significant. Further to this we use screens to eliminate the potential risk of damage caused by projectiles. 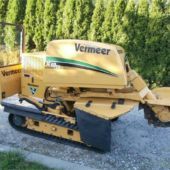 We ensure that our clients only pay for the job that needs doing and nothing additional by providing a variety of machines and pricing based on customers’ specific needs. Combined with the fact that we take proactive steps to prevent property damage we consider our service to represent good value for money. 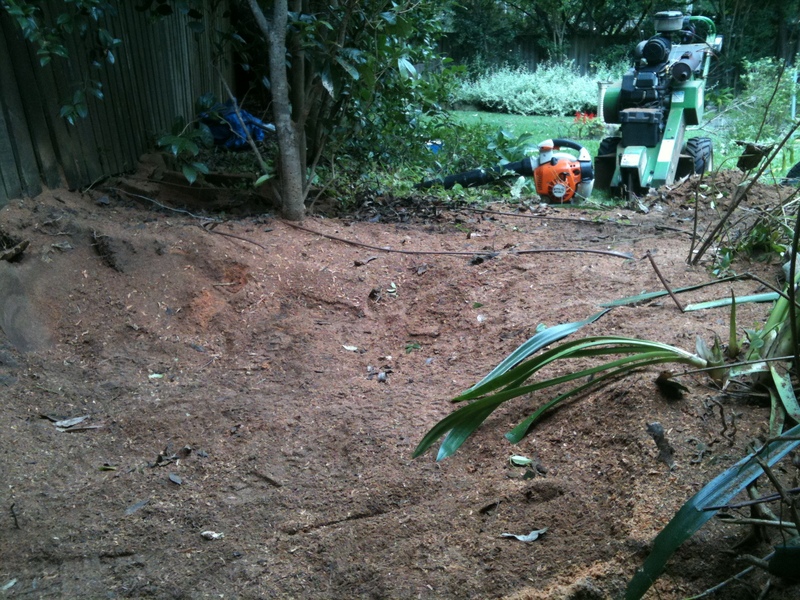 After stump grinding in Sydney the remnants of the stump remain as a mixture of wood chips, saw dust and soil. 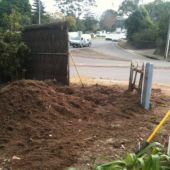 Removal of any excess material is possible with prior arrangement however it would be more economical to disperse around other parts of the yard or to fill garden waste bins. 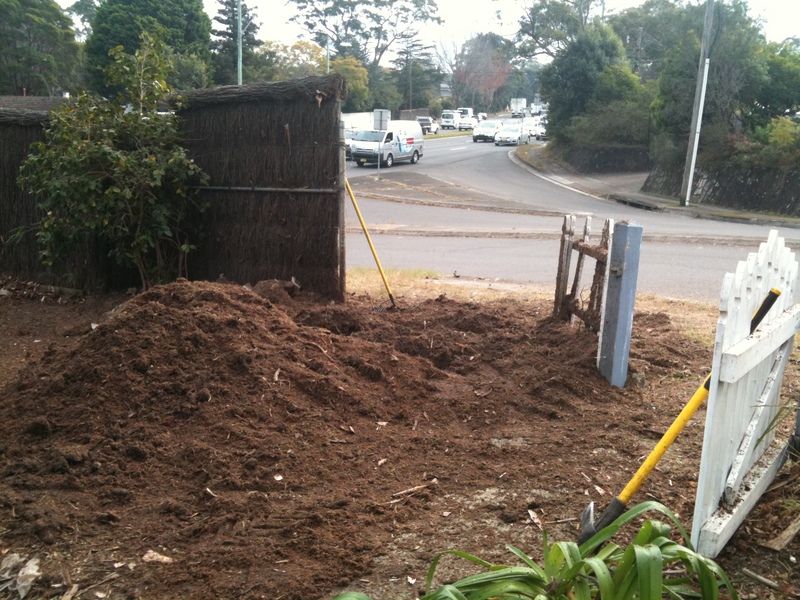 A complete stump removal service is also available in Sydney, this includes removal of the entire tree stump and root ball by excavator. 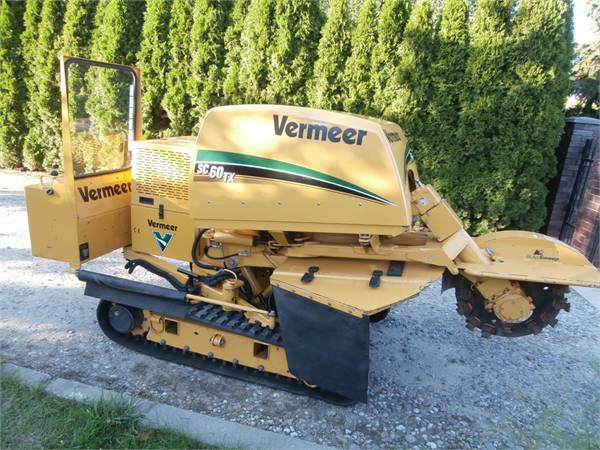 We only recommend this option when absolutely necessary for new construction.